Echomaster Marine are privileged to have been awarded the contract to supply an electronics package to the new build Grateful for delivery to the Eshcol Fishing Company of Fraserburgh, in 2017. 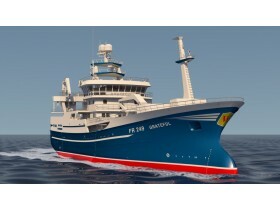 The 69.95m vessel is being built at Karstensens Shipyard in Skagen Denmark. Working with the owners, Andrew Masson, Sales Manager at Echomaster Marine, has put together a state of the art electronics package, which will include the latest Echosounders from Simrad AS, and the excellent SX90 Sonar. 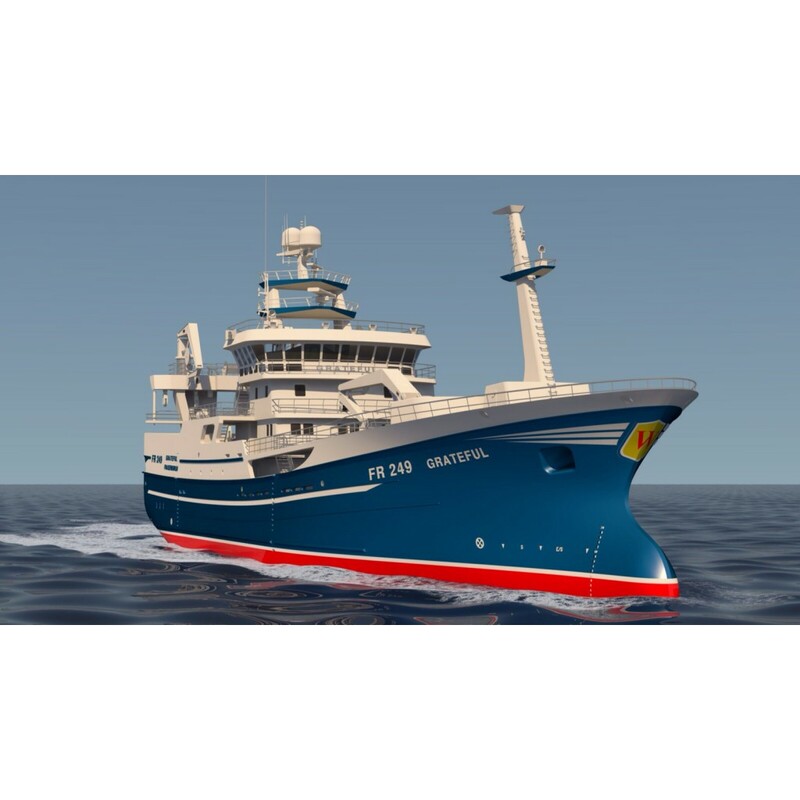 The Grateful will also be the first fishing vessel in the Scottish fleet to boost a retractable thruster, supplier by Brunvoll. This thruster can work as a drop-down Azimuth, functioning as a take-me-home device, or even used during slow steaming, dodging or stern pumping. Echomaster Marine are delighted to have been chosen as supplier for the Marine Electronic equipment onboard the Grateful and cannot wait to start work in 2016.